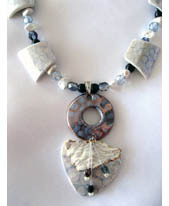 handcrafted porcelain jewelry for individual collectors around the world. 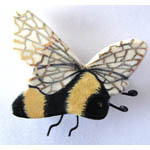 Her unique lines of wild life animals, cat & dog brooches will appeal to pet lovers, and to those who appreciate simple & elegant wearable art. For many dog lovers, her dog pins have become very popular gifts to themselves, as well as their family members and friends.Commission work can be possible upon request. 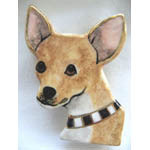 Email Winnie your favorite pet's photos,she can create a brooch of your pet's image. 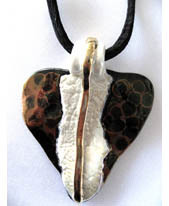 Simplicity and elegance are essence of Winnie's designs.